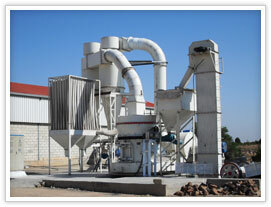 Grinding mill line includes coarse powder mill, ultrafine grinding mill, elevator etc. Abbott Laboratories has a long-standing commitment of contributing to the vitality and health of the diverse communities where our employees live and work. Abbott Laboratories works with organizations to strengthen communities through education; environmental, health and welfare initiatives; cultural and civic partnerships; and they strive to create a sustainable cycle of health and economic vitality in the communities in which we operate. In the beginning of 2010, Abbott Laboratories decided to do a study about Air Pollution and Environmental. Grinding equipments were requisite in this research and they need different size and kinds of grinding equipments and mining equipments. SBM introduced our high performance and professional mining equipments to them. Finally, SBM mining grinding equipments and other assistant machines were applied in this research and play an important role. Owing to the distinctiveness of this case, SBM experts listened carefully to the requirement from Abbott Laboratories and decided to design this grinding equipments line with our environment protection SCM series ultrafine grinding mill with the pusled dust collector. At the same time, coarse powder mill is necessary in the grinding line. Finally, SBM design the line with eclectric elevator, MXB series coarse powder mill, SCM series ultrafine grinding mill and pulsed dust collector. Abbott Laboratories are happy with this grinding mill and saied that SBM grinding mill line is really health and environment protection.